Emceed by Patti Southard, of the King County Green Tools Program, this year’s Annual Green Building Slam! 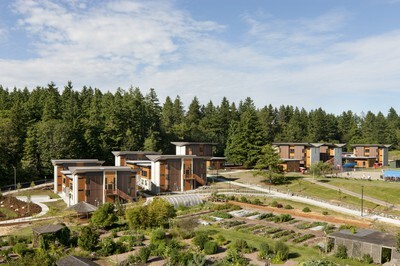 put on by the Northwest EcoBuilding Guild is sure to be interesting. What: Annual Green Building Slam! When: Saturday, September 10, 2011 from 4 p.m. to 9 p.m. Hosted by Northwest EcoBuilding Guild’s Seattle Chapter, this event features architects and builders showcasing their green construction projects in a 10 minute, 10 slide presentation. In celebration of the 100-year anniversary of the International Women’s Day, a number of remarkable projects by top women green building professionals will be highlighted. Show up at 4pm for a guided tour of one of the Bastyr University LEED for Homes Platinum Certified student housing buildings.